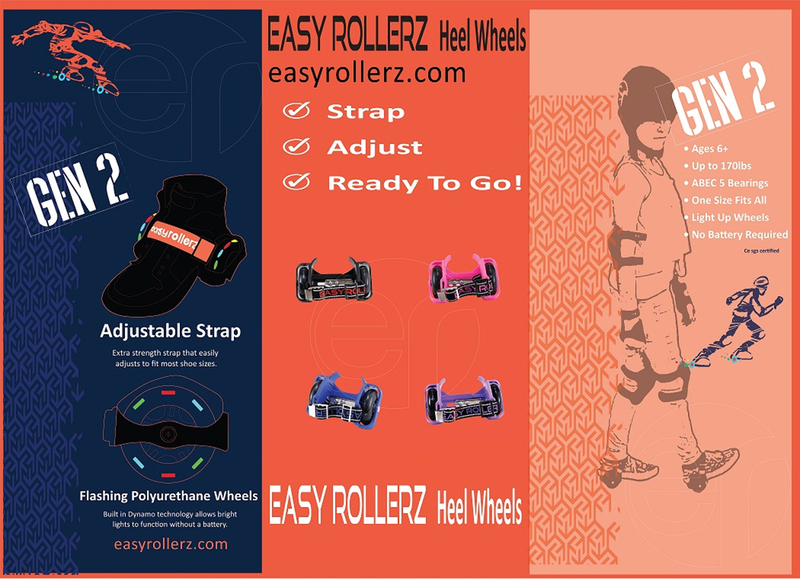 With Easy Rollerz Premium Strength Heel Skates you can ride at any age. Our heel skates are one-size-fits-all, so the fun can extend from child to adult. You can adjust the heel skates very easily to your shoe and begin skating within minutes. Our Easy Rollerz Heel Skates are perfect for travel weighing in at 1.6 pounds, and they can fit into small purses or backpacks. The Easy Rollerz signature is our lighted wheeled products that do not require batteries. Come check out all of our products including heel skates, scooters, skateboards, and more!